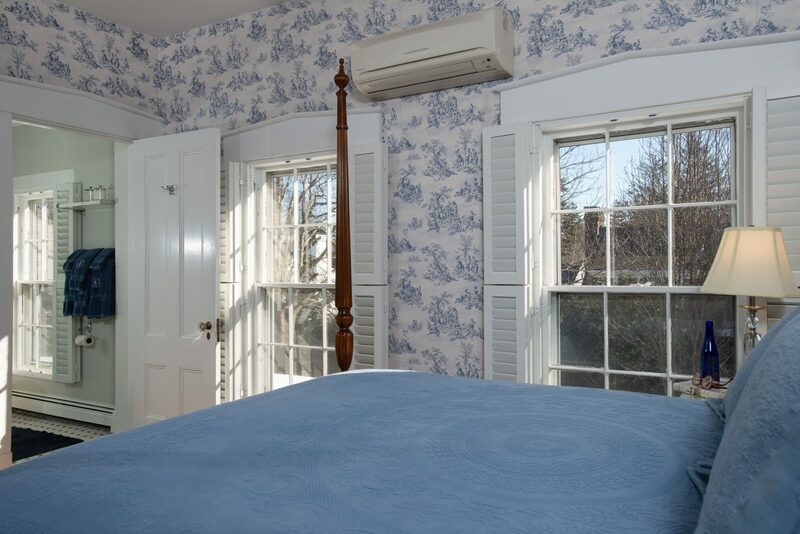 Killarney is tucked away at the back of the second floor and overlooks the side garden. 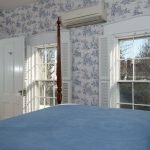 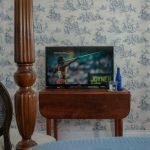 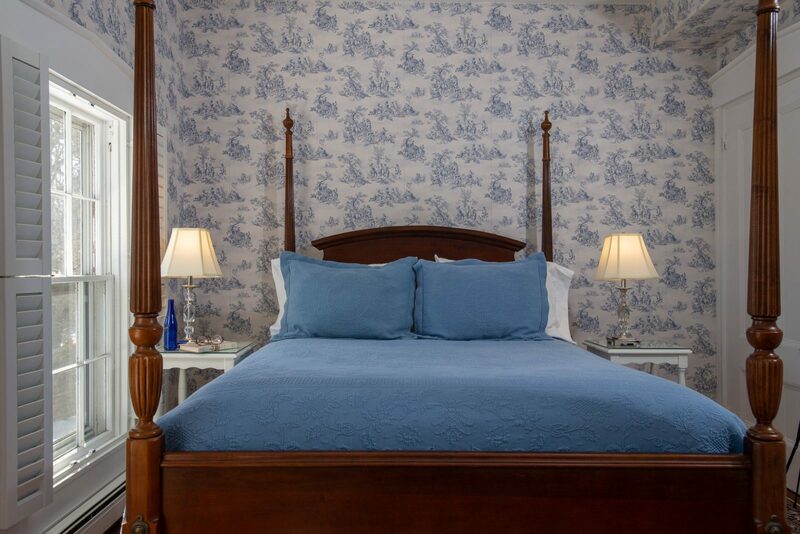 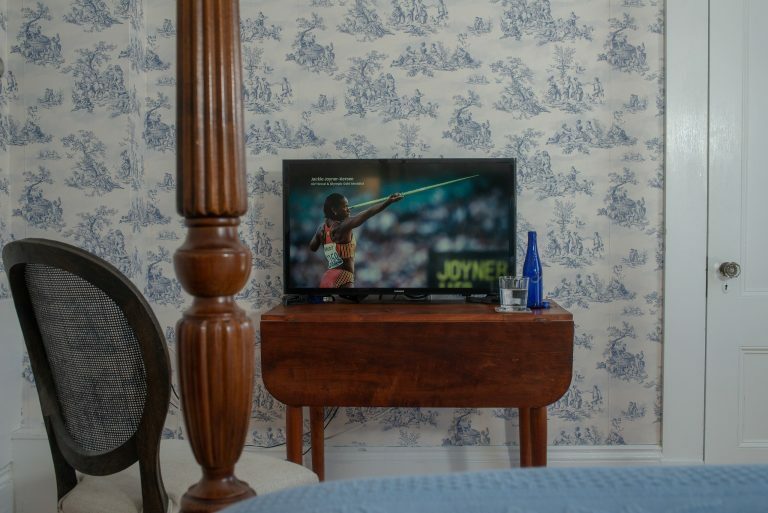 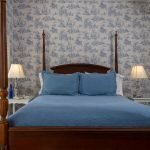 The blue and white decor, with French toile wallpaper, is especially lovely in the morning light. 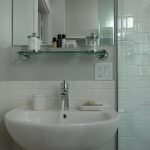 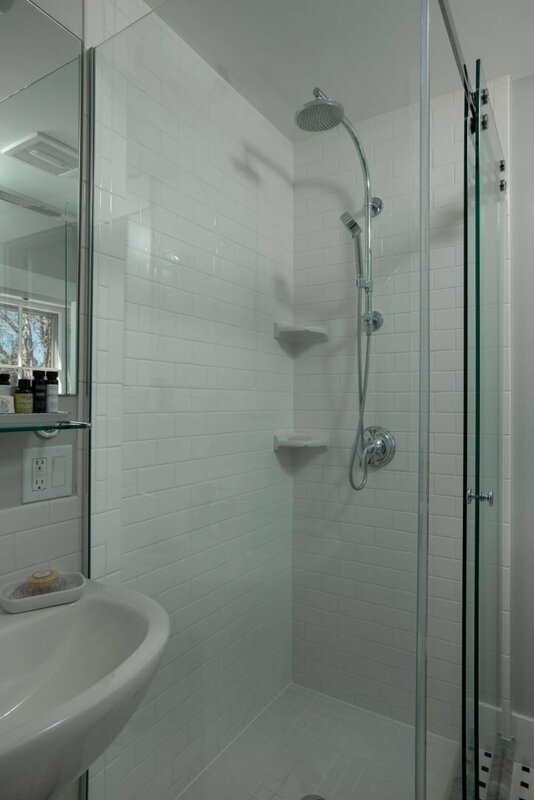 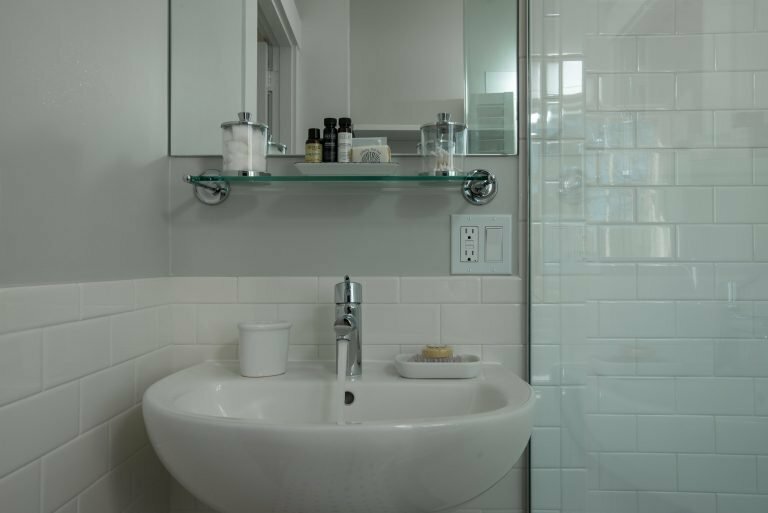 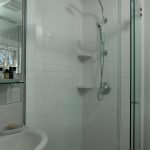 This room has a newly renovated glass surround shower with all new bathroom features.